R&D Unit of NIWE was established with the aim of addressing the specific purpose of supporting time bound and mission oriented research and development programmes to achieve and maintain world class, reliable and cost effective technology in wind power systems. The Unit continues to improve its knowledge and skills through continuous learning, to keep pace with the State-of-the-Art Technology and excel through innovative approaches. The Unit carries out in-house R&D and coordinates research and development programs through effective networking with academic institutions, industry, experts and consultants working in a wide spectrum of disciplines for the benefit of wind energy sector. Pan-India Research Network has been established at NIWE where all the OEM’s of WT’s, researchers and institutions conducting work in Wind engineering/ Technology to be brought to one common platform, which will open an indigenous research network in India. The intention is to create the hub of synergy for all wind related research in India, where Industry identified issues will be taken up for research by a consortia of Academia with support from MNRE through NIWE. NIWE has developed state of art in house developed wind/solar power forecasting system to predict wind/solar power upto 7 day-ahead and also provide intraday revisions to support all the State load despatch Centre (SLDC) in the country to evacuate wind /solar power and also to manage grid efficiently. Variable generation (VG) forecasting service plays an important role in grid management activities of State Load Dispatch Centre (SLDC). 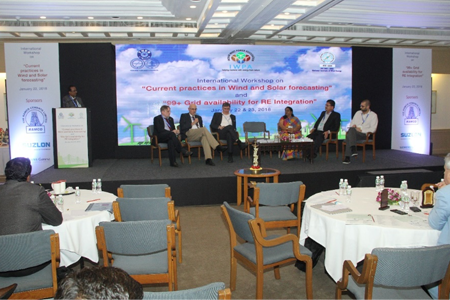 In order to utilize the maximum of renewable resources and to increase penetration and evacuation of wind power generation, a demo 51 MW wind power-forecasting project was initiated during 2013 in association with M/s Vortex Spain through an Indo-Spanish research collaboration facilitated by MNRE, Government of India. As a spinoff of the said project, NIWE initiated operational wind power forecasting services to Tamil Nadu since 2015. Subsequently, with the help of Indian NWP data set, an Indigenous wind power-forecasting model was developed by NIWE during 2017 and the same is under testing with various pilot operational wind-forecasting projects. Currently, NIWE is carrying out pilot operational wind power forecasting services for the whole state of Gujarat, Karnataka and SRLDC since 2018. The NIWE forecasting service is assisting State -owned electricity generation and distribution utilities for better management of fluctuations in wind power output. 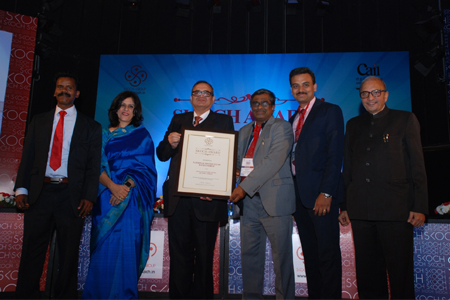 Skoch Order-of-Merit was awarded for the project “Wind Power Forecasting by NIWE – Vortex” during the 42nd Skoch summit on 10th- 11th December 2015 at India Habitat Center, New Delhi. 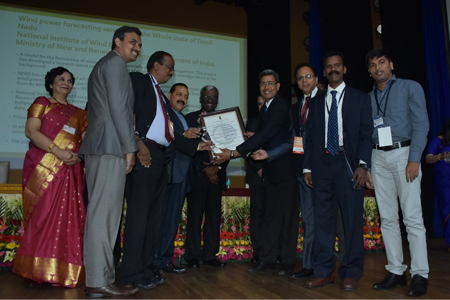 Received National Award for eGovernance 2018-19 (Golden Award under “Outstanding research on citizen centric Services by Academic Research Institutions”) for the project “Wind power forecasting for the whole state of Tamil Nadu” during the ceremony of National Award for eGovernance 2018-19 on 27th February 2019 at Dr. Ambedkar International Centre, Janpath, New Delhi. NIWE established VG forecasting laboratory in year 2017 under the project viz., Centre for Excellence in VG Forecasting with a major objective to create a State of Art Forecasting Laboratory in NIWE for providing wind and solar power forecasting services to Indian Industry. 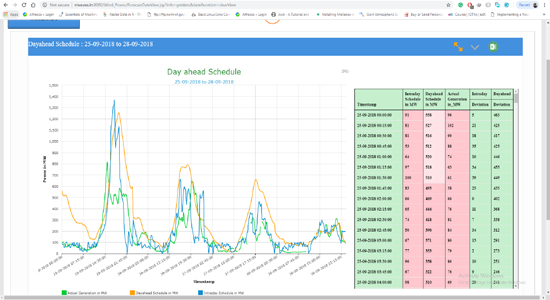 NIWE has developed In-house Data management system, Indigenous Wind and Solar Power Forecasting model, Monitoring System, Web portal, forecast simulation tools and security system.  NIWE is currently providing VG pilot forecasting services and Operation VG forecasting services on commercial basis for various SLDCs. Forecasting Team Capacity, building process was initiated by Overspeed, GmbH in collaboration with NIWE in August 2017. Fine tuning of prototype solar power forecasting model is under progress. NIWE and IWPA conducted a 3day workshop on “Forecasting and Scheduling Wind Power” from 8th-10th February 2016 in Radisson Blue Hotel, Chennai. 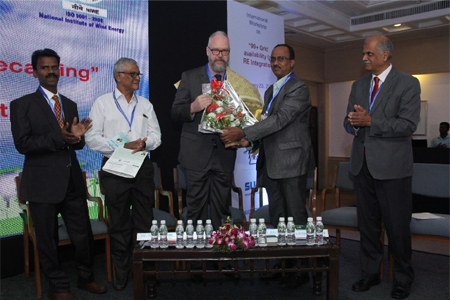 NIWE and IWPA conducted international workshop on “Current Practices in wind solar forecasting and 99+ grid availability for RE integration” on January 22nd and 23rd 2018 at Le Royal meridian, Chennai. 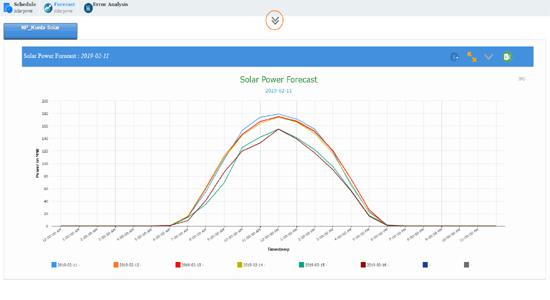 Click here to access NIWE’s VG power-forecasting dashboard.